The Secret Agent Society (SAS) Small Group Program is a breakthrough social skills program for 8-to-12-year-old children with social and emotional challenges, including those with Autism. The program consists of small-group child sessions, parent and teacher information sessions and resources, real-life practice missions and a system to monitor and reward skill development at home and at school. 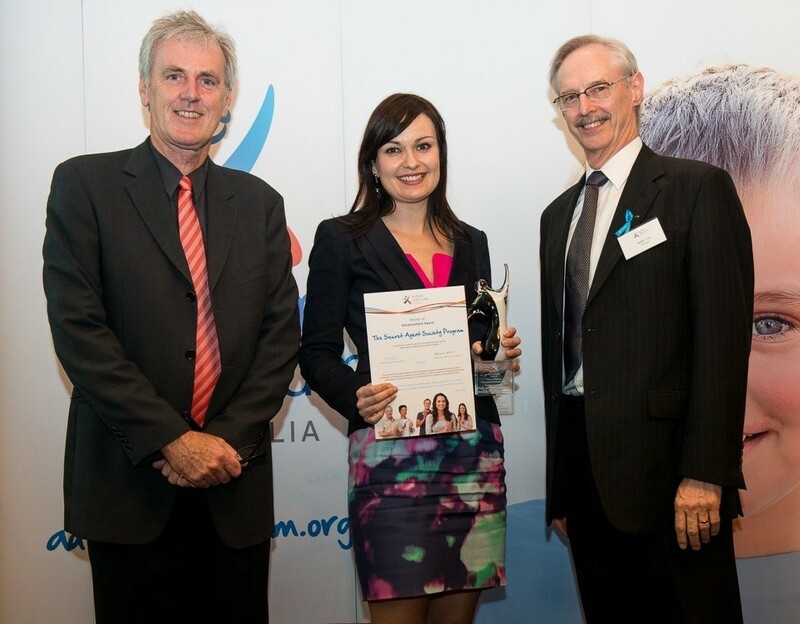 In 2014, SAS was awarded the Autism Spectrum Australia National Recognition Award for advancement to acknowledge the significant, positive impact the program has on children’s and families’ lives. 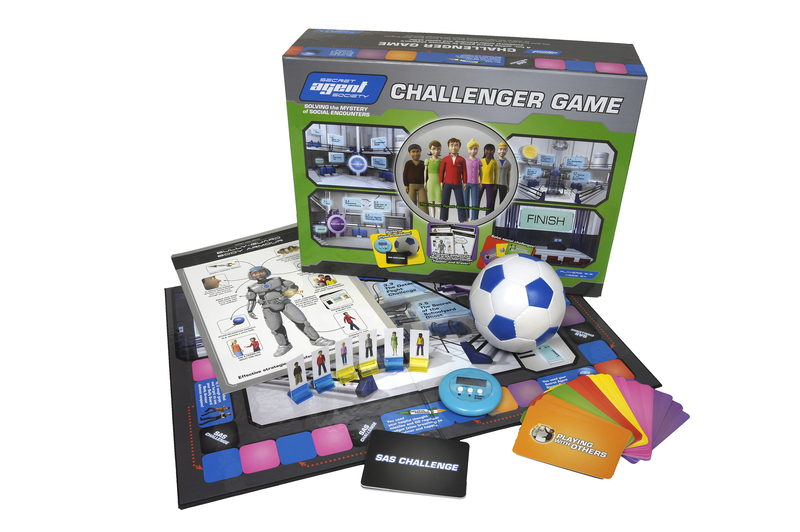 The evidence-based curriculum captivates children with its espionage-themed games and activities including a multi-level computer game, Helpful Thought Missile action game, Challenger board game and Secret Message Transmission Device Walkie-Talkie game. 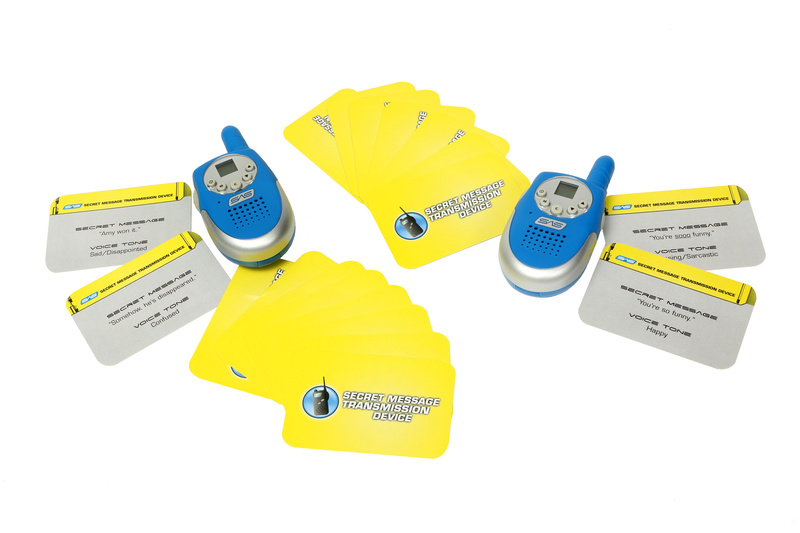 delivered over 9 weeks for 90 minutes per session (or 18 weeks for 45 minutes per session), including an SAS Cadet Handbook and gadgets. delivered as weekly 30-45 minute sessions (or as four 2-hour sessions over the course of the program), including a SAS Parent Workbook and pre-prepared presentation slides. keep teachers informed about what children are learning and how they can support the application of skills in the classroom and playground. played at home or at school to teach children to recognise emotions in themselves and others, express their feelings appropriately and cope with social challenges. 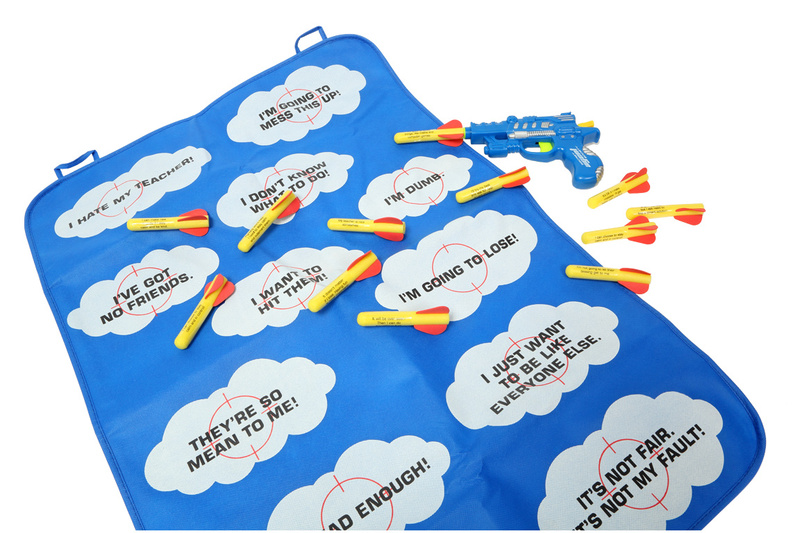 The game motivates your child to learn and helps them succeed in club meeting activities. Encourages and Rewards skills practice at both home and school. Assessment measures with demonstrated reliability and validity are included in the intervention package. Having trusted trained professionals delivering SAS in an effective way is in increasing demand. Families can search for their nearest SAS Facilitator through our “Find an SAS Provider” service. The Small Group program is ideally co-facilitated by 2 trained SAS Facilitators with a group of 4 to 6 children (minimum of 3 children). If this is not possible, a single SAS Facilitator may deliver the program to a maximum of three children. 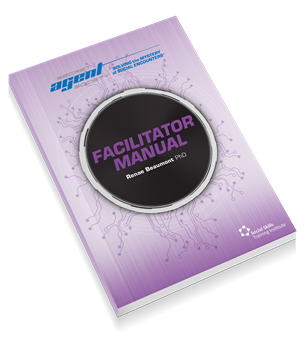 SAS facilitators typically include allied health, education, and disability professionals. SAS Facilitators have completed an intensive 2-day training course in how to provide the SAS Small Group Program. The SAS Small Group Program helps educators, therapists and other professionals feel more confident about how to help children struggling socially and emotionally - because the evidence-base, session planning and materials have all been provided. Components of the SAS Family Kit are provided to children, parents and teachers as each child moves through the SAS Small Group Program. 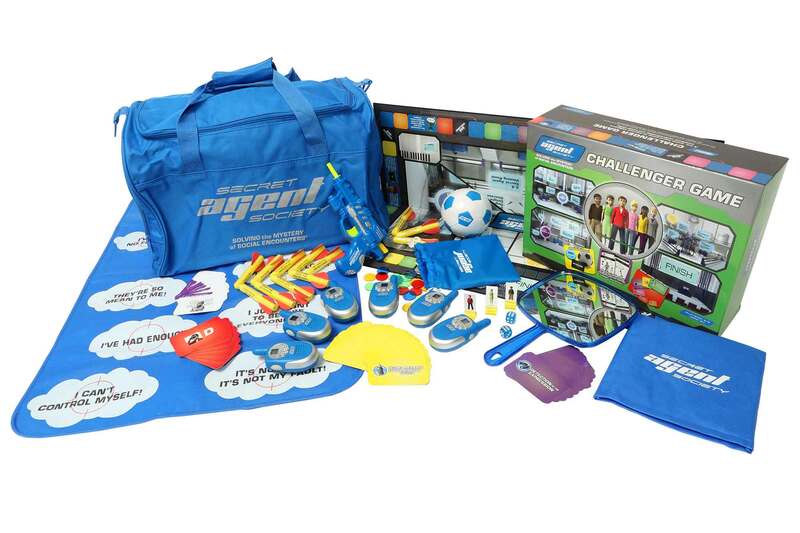 In 2014, the SAS Family Kit won the United States’ Learning Magazine Teacher’s Choice Award for the Family. 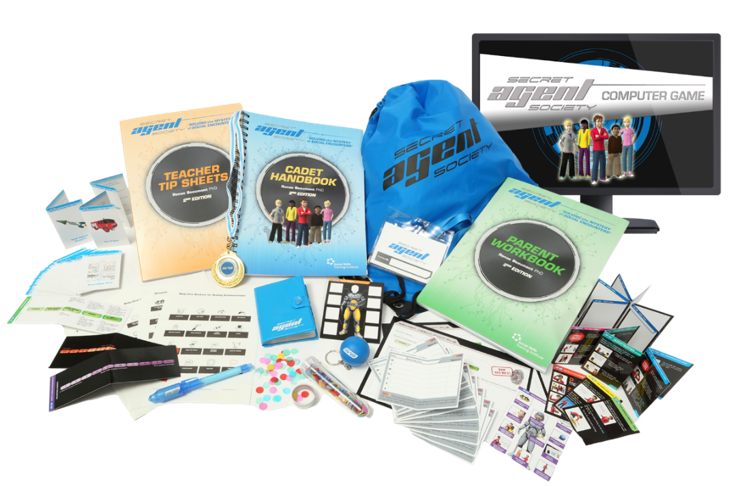 Materials and instructions for the fun games and activities used SAS Club Meetings are held by the SAS Facilitator in their SAS Session Resources Kit, online Facilitator Portal, and their SAS Facilitator Manual. These items are available through training to be an SAS Facilitator. Multiple research evaluations have demonstrated the effectiveness of the SAS Small Group Program in improving the social-emotional skills of children with Autism Spectrum Conditions and other social emotional challenges in clinical and school settings. One university randomised-controlled trial found 76 per cent of children with Asperger’s Syndrome, who had clinically significant delays in social-emotional functioning, improved to displaying these skills within the range of typically developing children on a parent-report measure (Beaumont & Sofronoff, 2008). 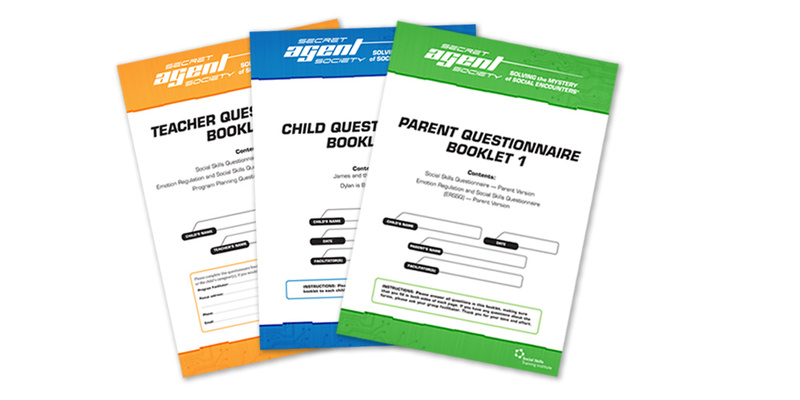 Parents and schools are an integral part of the SAS Small Group Program and receive resources and support to help young ‘secret agents’ develop and practise new skills. The intervention framework ensures consistency and reinforcement of concepts across home and school environments, and helps to build the confidence and competence of all members of children’s support teams. This level of support across home and school is one of the reasons why SAS is so successful. It teaches children foundational emotion recognition and emotion regulation skills before teaching them social interaction skills. The program includes step-by-step formulae for targeted social skills. The program allows for content to be individually tailored to families’ beliefs and cultural values and children’s current skill level. The program adopts a hierarchical approach to social skill development. The program uses fun, interactive games, activities and visual supports to teach children social and emotional concepts. 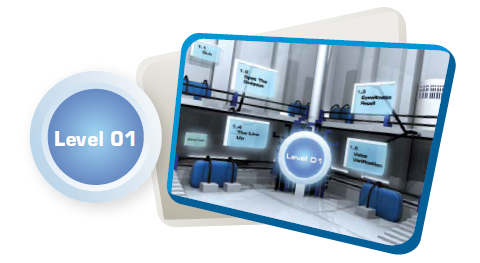 The program features ready-made resources. The program is designed to maximise children’s application of learned skills to everyday life. The use of a self-regulatory framework for skill development. The program adopts a multidisciplinary approach. The program has a scientific evidence-base. The program allows for flexible delivery.